Home / All TV Shows / Bryan Inc. When will be Bryan Inc. next episode air date? Is Bryan Inc. renewed or cancelled? Where to countdown Bryan Inc. air dates? Is Bryan Inc. worth watching? 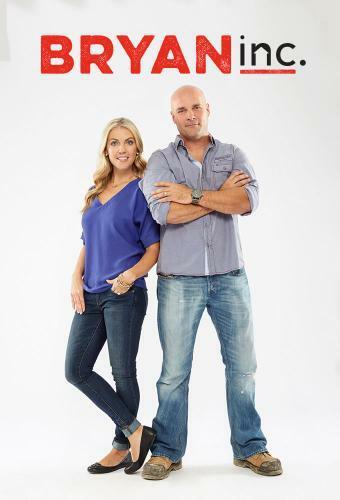 After three spirited home builds as husband and wife, Bryan and Sarah Baeumler take on an entirely different relationship: boss and employee! In Bryan Inc., Sarah joins Bryan's busy construction company as a Project Manager and together they will buy, renovate and sell two luxury homes.It's a huge learning curve for Sarah as she juggles trades, inevitable construction delays and strict budgets. Bryan is depending on his wife to rise to the new challenge, and together they struggle to find the balance between the demands of work and four very active kids. The Baeumlers start a unique project. Bryan and Sarah troubleshoot an issue when a client goes out of town. Bryan and Sarah wrap up a large renovation. Sarah brings a special helper to site. Winter weather costs a project time and money. Bryan and Sarah complete a home gym and basement for a young family. As the final deadline looms for their largest project, Bryan and Sarah face the impact of construction delays. The Baeumlers reflect on working with clients together for the first time. Bryan Inc. next episode air date provides TVMaze for you. EpisoDate.com is your TV show guide to Countdown Bryan Inc. Episode Air Dates and to stay in touch with Bryan Inc. next episode Air Date and your others favorite TV Shows. Add the shows you like to a "Watchlist" and let the site take it from there.